Geohazards appear to be increasing in frequency globally. it is of necessity to actively manage these natural hazards to minimize loss of life and property. 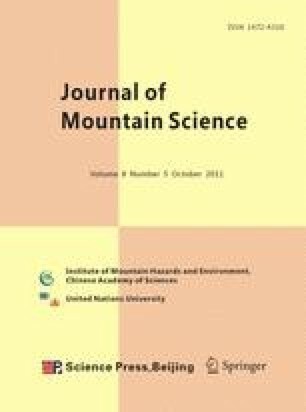 from an early warning perspective, this paper stresses the potential fatal flood hazard represented by the huge volume of water in tianchi lake, the unique geography of changbai mountain, and the limited flood control ability in the upstream of the songhua river. northeast asian countries should keep a watchful eye on the changbai volcano cooperatively, and chinese government especially needs to prepare plans for fighting a flood in advance. Xinhua News Agency (2010) Dams strained as rains pound flooded NE China. China Daily http://www.chinadaily.com.cn/china/2010floods/2010-8/05/content_11105759.htm; accessed on 05 August 2010.